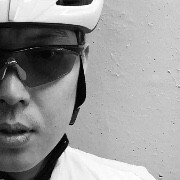 I am excited to take part in 2019 Chain Reaction Challenge to ride the 1,000km from Melbourne to Sydney. This will be my first Chain Reaction Challenge. I'm honoured to play a very small part in making a difference to supporting kids in need. Please help me support kids in need. Ride well and stay safe! Ride safe and enjoy the long journey! Good luck enjoy the journey. The longest day has an end ！Enjoy! Good luck and Safe first. Have a Safe and Fun Journey Jun Hao! Small little things will make a big difference! Keep moving Junhao！ We are all very proud of you!